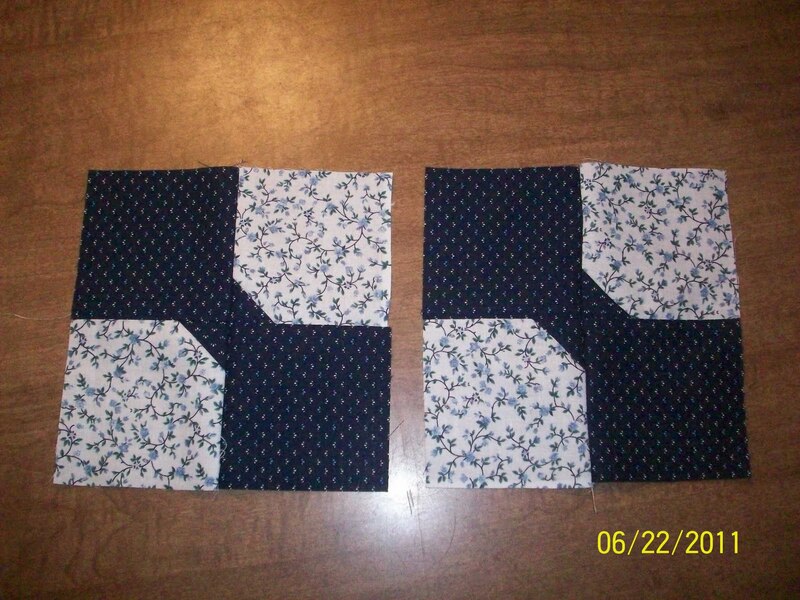 I saw Michelle's blog abt the new summertime quilt block challenge. I've never made the bow tie block before. Goes together very quickly. I'm going to make mine in scrappy blues since I recently came into a large amount of blue fabric & I promised my friend a quilt. Her favorite color is blue. Perfect! Good for you, this will be lovely. My favorite colors too!